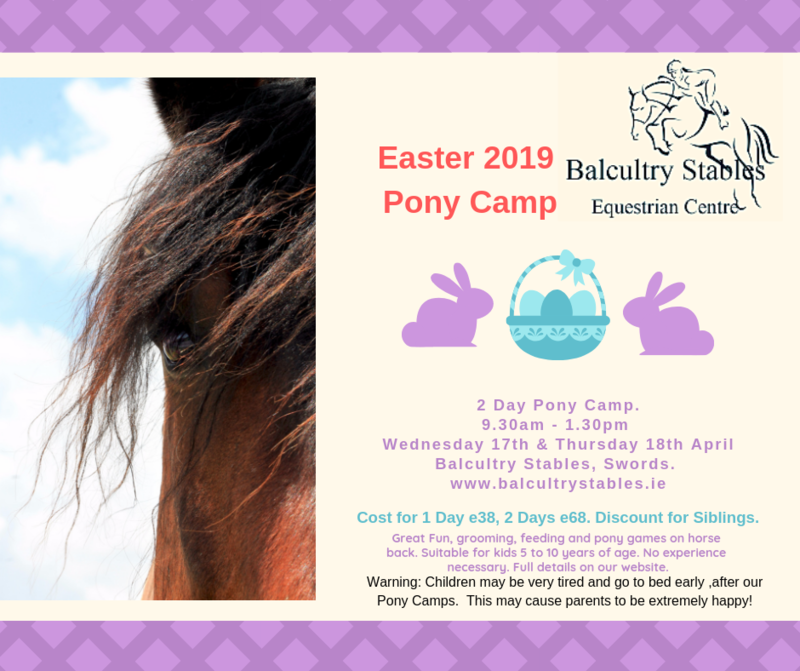 WednesdaEaster 2 Day Pony Campy 17th & Thursday 18th April 2019. Kids age 5 – 12 years. No experience needed. One day e38, e68 for two days.